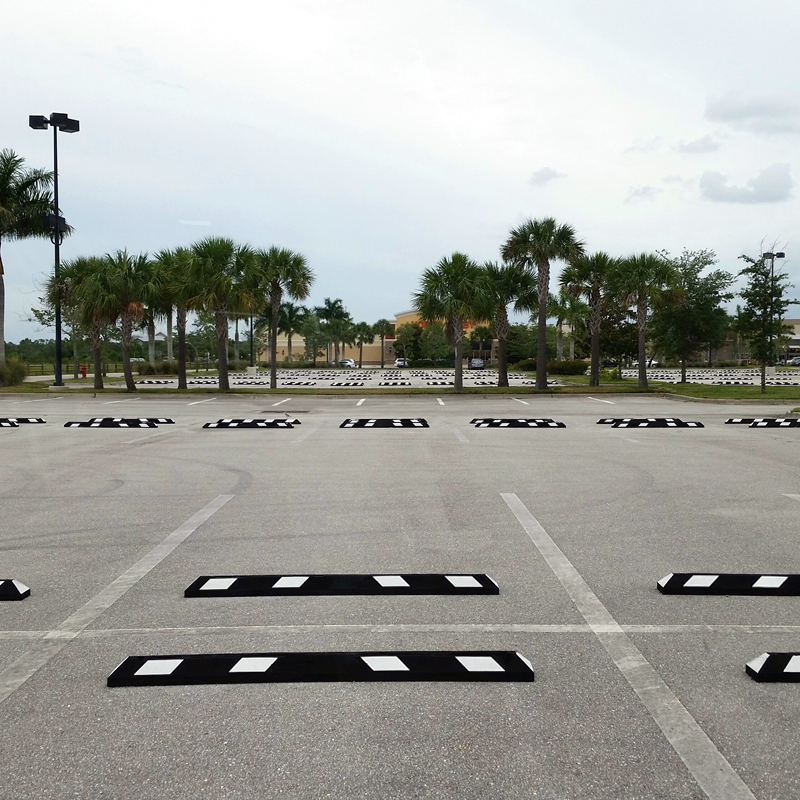 Parking Wheel Stops help keep your lot organized by guiding cars when pulling into a spot. 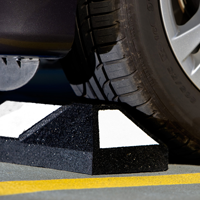 The low 4" height and rubber construction lets the driver know when to stop without damaging their vehicle. • Made from 100% recycled rubber. Rubber conforms to the bumps of the road while causing minimal vehicle damage upon impact. 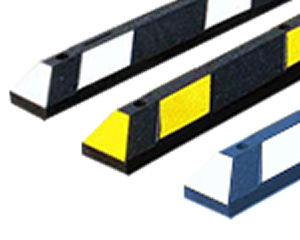 • Wheel stop is molded with highway reflective tape to increase visibility and safety. 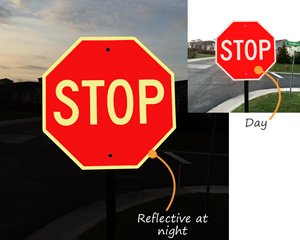 Non-reflective wheel stops, like plastic and concrete, are considered to be tripping hazards for pedestrians. • Rubber is a very durable wheelstop material. 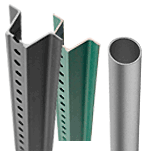 At 1/10th the weight of a concrete curb, rubber is lightweight and low maintenance. 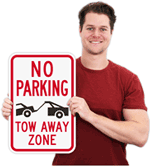 No need to repaint - curbs will not chip, crack, corrode or fade in the sun. 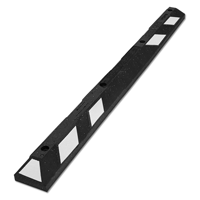 • Wheel stops feature installation holes on top of the product. 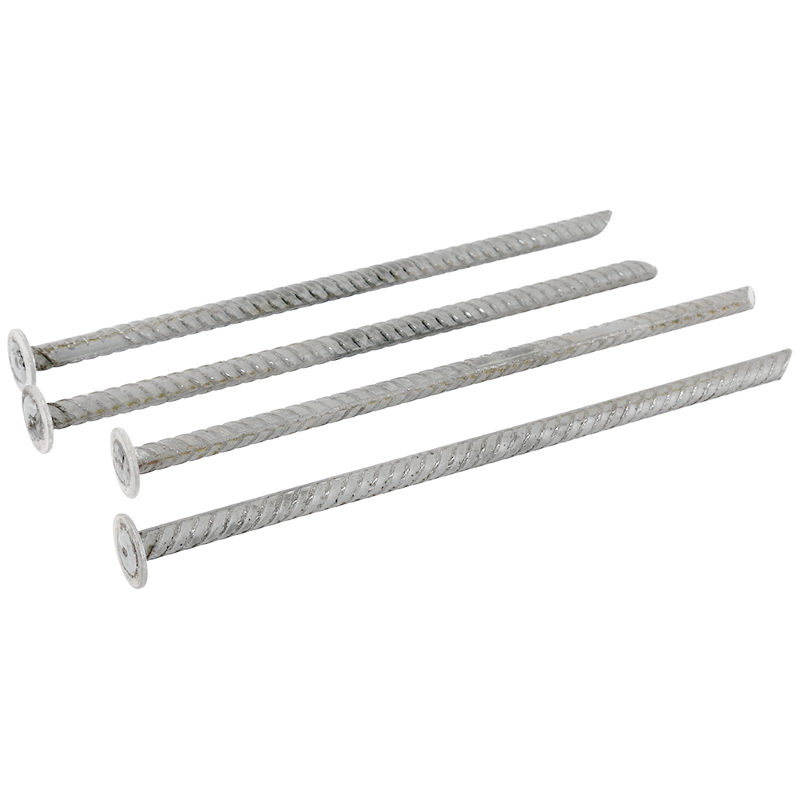 Choose lag bolts for concrete installation and rebar spikes for asphalt installation. 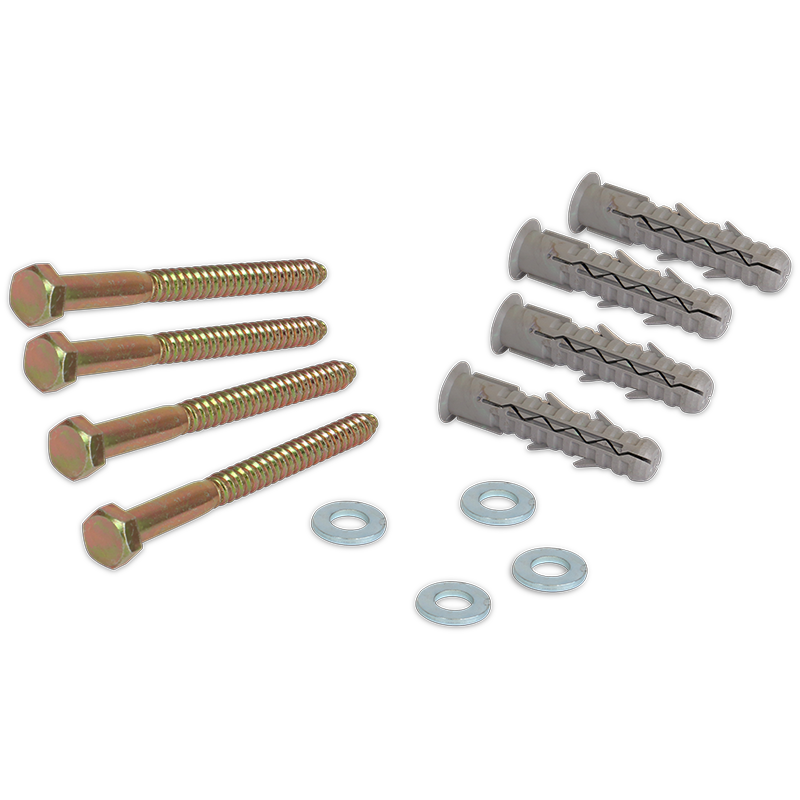 See below for hardware kits. Each hardware kit can install one 6' wheel stop. Hardware is not included. 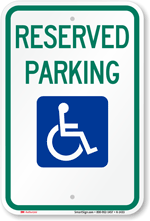 Great addition to our parking area. Love them. Wheel stops look great, and were easy to install. These did the job for me. At around 35 lbs each, these stops stay in place well enough on the floor of my new 2 car garage without me having to anchor them into the cement with rebar. Keeps me from accidentally hitting the back wall well. Arrived as scheduled and in good condition. Installed today. If I should need these again, I would reorder from this seller.